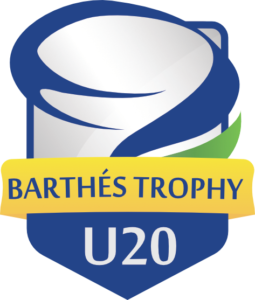 HARARE, Zimbabwe, April 3, 2019/ — Zimbabwe is all set to host four group B fixtures of the 2019 edition U20 Barthés Trophy in Harare, fans will be treated to two back-to-back matches on the eve of Independence day 17 April at The Machinery Exchange Stadium, Harare Sports Club. The Junior Sables, Zimbabwe’s uner-20 side will host Ivory Coast at 14:00 hrs. and Morocco face Madagascar on the same field at 17:00 hrs. Harare Sports Club will host the remaining two fixtures on the 20th of April at 10:00 hrs. and 12:00 hrs. – Loser 1 and 2 will play in the first match while the winners play in the second match. Zimbabwe Rugby Union vice-president Losson Mtongwiza is upbeat about Zimbabwe’s possibility of qualifying. “The caliber of players we have produced have had senior national team coaches looking at the boys and I have no doubt that the team’s management will continue their fine performance,” said Mtongwiza. Zimbabwe will be coached by Farai ‘Bob’ Muhari and Jeffrey Madhake who are the same coaching pair that have led local Under-21 Champions the Pitbulls to three championships and have led their club through three years without ever losing a match or having conceded a draw. Upcoming senior men’s stars have risen from the ranks straight from the under-20 set up with the likes of Matthew Mc Nab, Jeremiah Jaravaza and Cleopas Kundiona getting their first Test caps in the Rugby Africa Gold Cup after impressive performances in the 2018 edition. Tomorrow marks the beginning of the Barthes tournament with two group A matches taking place in Nairobi, Kenya where Namibia hosts Senegal and Tunisia face Kenya. The winner of the Pool C will be promoted in Pool B, the winner of Pool B will be promoted in Pool A, the loser of Pool A will be relegated in Pool B, the loser of Pool B will be relegated in Pool C, and the loser of Pool C will let his place for a new team in 2020. The losers and winners will play-off on the 7th and determine which team will be relegated.